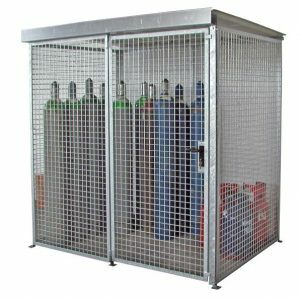 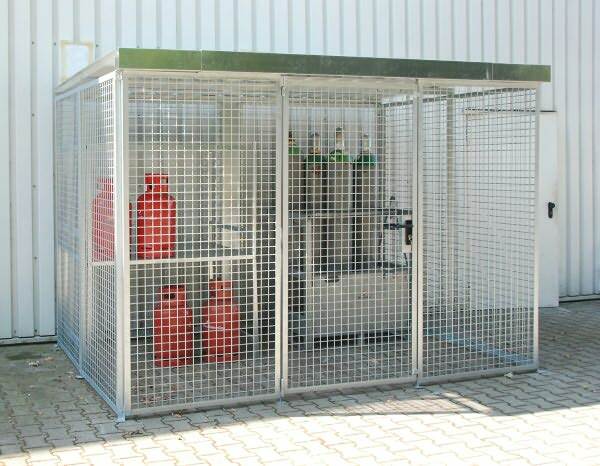 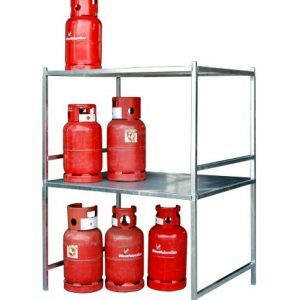 Our range of high security Gas Cylinder Storage units are complete with cylinder locks, galvanised finish and roof. 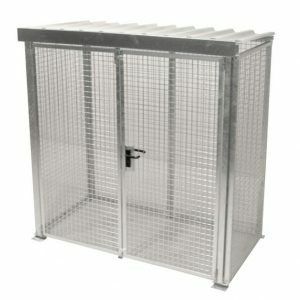 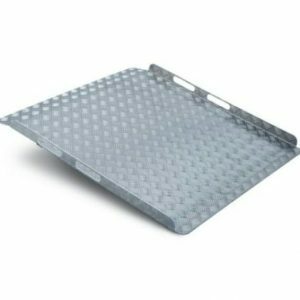 With a wide range of sizes and accessories available, they are perfect for outdoor, weather protected secure storage. 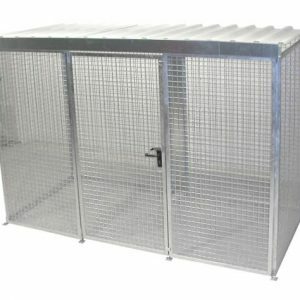 Cylinder locks and handles provide security above and beyond a standard hasp and staple. 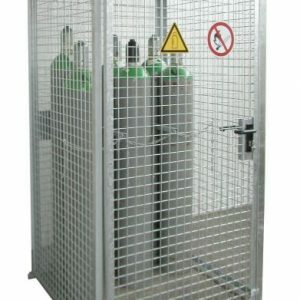 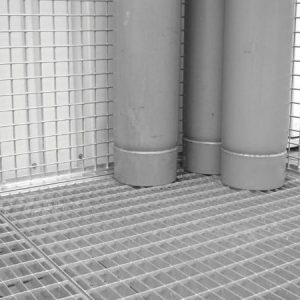 Holds up to 104 cylinders with a diameter of up to 220mm. 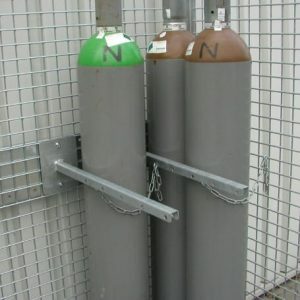 Cylinder Lock on Single or Double hinged door. 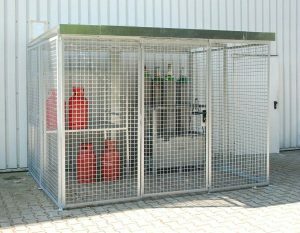 Please note: For ease of handling, we do not recommend filling cages to capacity. 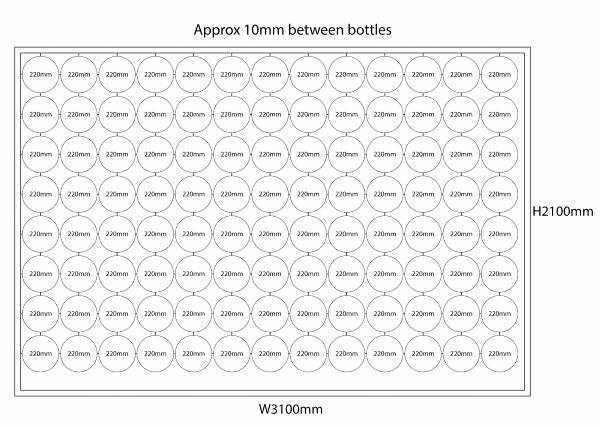 If you need to store a certain quantity of bottles, please contact us with the size and quantity of bottle.